"Hell, I never vote for anybody. I always vote against." --the late comedian W.C. Fields. To learn more about his career in the movies, you can go here. To read one person's take on Fields' "absurdist politics" go here. ....and if you subscribe to that notion, Michael Moore got Bush elected. 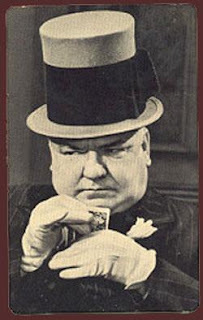 Had a sad day and was delighted at unexpected stuff and nonsense of W.C. Fields. Thanks.